Nothing says fall like a jar of pumpkin butter in the house—except for maybe the leaves changing color. 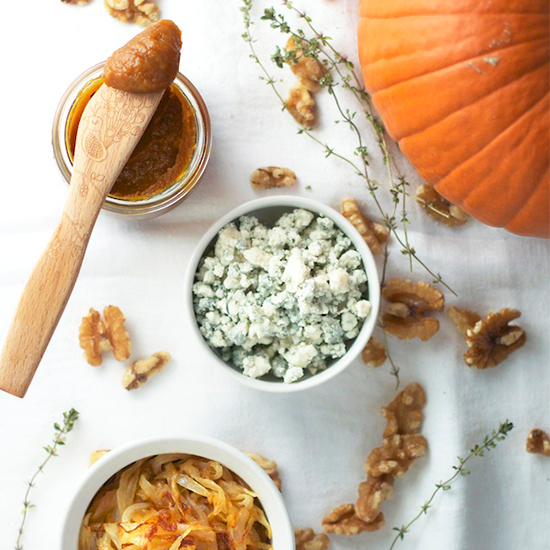 When we first discovered this addictively delicious autumnal spread, we put it on toast basically every morning. But who knew there were so many other ways to use it? From flavorful cocktails to granola, these recipes will blow your mind. This autumnal cocktail uses pumpkin butter as a sweetener and flavor agent alongside anejo rum, dry sherry, lemon juice, simple syrup, and angostura bitters—and of course, a cinnamon stick and nutmeg for garnish. What’s better than French toast for breakfast? Baked pumpkin butter French toast with pecans or walnuts, of course. The secret to this best-ever pumpkin loaf is that it’s made with not only pumpkin puree, but also pumpkin butter. Twice the pumpkin, twice the flavor! We’d never heard of dessert ravioli before, but we were instantly hooked when we discovered it. This delicate pecan and pumpkin butter-filled pastry is a little bite of heaven. Pumpkin pizza, you say? This savory pumpkin butter tart is basically an irresistible flatbread made with onion, walnuts, blue cheese, and thyme. Infuse your morning with a little fall flavor by baking granola with maple syrup, pumpkin butter, and autumnal spices. Peanut butter cups are so last season. It’s all about the pumpkin butter cups now, which are filled with nuts and can be sprinkled with sea salt, coconut, or whatever you wish! Not a big rum enthusiast? Try this pumpkin butter cocktail instead: It’s made with rye, amaro, lemon juice, simple syrup, angostura bitters, and seasonal lager. Cheers!